Figure 1. Upside Gap Three Methods pattern. The Upside Gap Three Methods is a three-line bullish continuation pattern belonging to the tasuki patterns family. It is a variant of the Upside Tasuki Gap pattern, but the price gap between the two white candles is closed. Although the price gap between the two white candles is closed, the pattern is classified as a bullish continuation one. The pattern should be confirmed, that is the price should move above the second line closing price. In other words, the third line being black candle needs to be negated. Two last lines may form the Bearish Tasuki Line pattern which is a bearish reversal pattern. If such situation happens, then the market context should play the most important factor. Figure 2. The first occurrence of a Long White Candle (acting as the Bullish Strong Line pattern), appearing within an uptrend, significantly moves price higher (around +15%). At that moment, the market does not yet know that this candle will become the first line of an Upside Gap Three Methods. The following candle closes even higher. When the third line of the Upside Gap Three Methods is formed, it turns out that a Bearish Tasuki Line also appears. In other words, we have two conflicting patterns: bullish and bearish. All three candles were formed at a very high trading volume. Although any scenario is possible, the bulls quickly demonstrate that are in control of the stock and a Bullish Strong Line pattern is formed. Some traders are taking profits, but price is not going below the Bullish Strong Line acting as a support area. Figure 3. An Upside Gap Three Methods and a Bearish Tasuki Line patterns appear in a strong uptrend. The problem is, however: which pattern should be followed? The bullish one (Upside Gap Three Methods) or the bearish one (Bearish Tasuki Line)? The answer is that we should wait for confirmation on the following candles. In our case a Bullish Engulfing pattern appears, which seems to confirm bearish forecast. However, it takes some time until the bears control the stock. 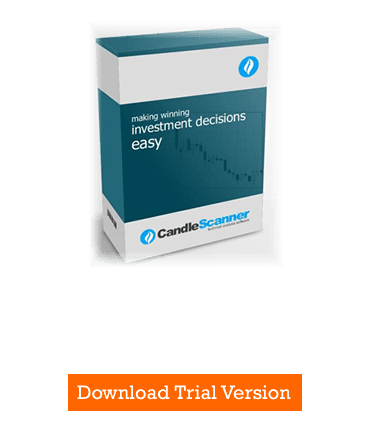 Below you can find some Upside Gap Three Methods pattern statistics calculated by CandleScanner software.